We found treasure! 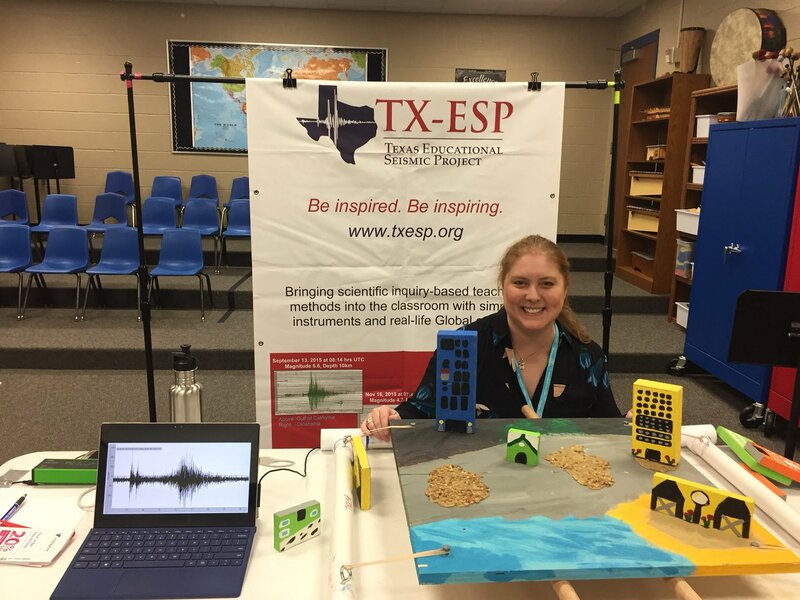 TXESP was honored to participate as a ‘career panelist’ and as a booth host at Klein ISD’s 3rd Annual STEM GEMS event at Klein Cain High School in Klein (Houston suburb), Texas. Discussing geophysics always garners a crowd, but it was at our explorer’s booth where we had a blast! Students and parents competed to engineer a toothpick structure to withstand shaking from an ‘earthquake’. TXESP’s shakeboard tried to slide, tilt or crumble the innovative toothpick structures in the competition. We used gummy bears, miniature marshmallows, squares of rice krispies, and jelly beans to hold the toothpicks together – it was sticky but SO MUCH fun! The goal of the hands-on activity is to understand what structural characteristics yielded the most stable “building” during the earthquake. Best part – you can EAT IT TOO! PS – we think it was fate that our booth was set up next to the “INSPIRE” wall – can you see it in the pictures? Which building materials do you think were most stable?? ← A Fantastic First STEM Event for DeSoto ISD !